“Learning by Doing: IM Methodology Introduction and Utilization"
There is a saying: “To Know, and not to Do, is not to Know.” The best way to learn a methodology is to actually apply it -- use it in real-life problem solving. 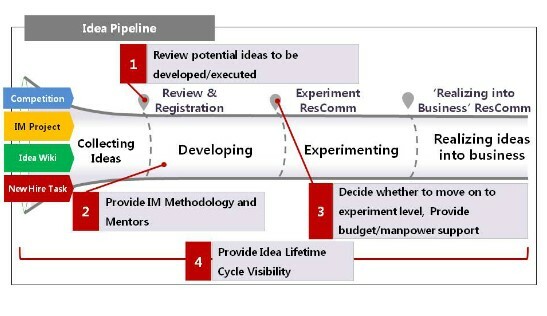 While IM methodology training is being integrated into a company to allow for customer insight-based idea creation to help solve problems and the management has been fine-tuned, employees need to also be given a chance to apply the methodology into their problem solving in the day to day work environment. - Failure also is an asset. In an environment where failure is accepted, employees change their attitude toward challenges, and become more proactive rather than passive toward their tasks. Creating an experimental environment within the organization is also important. - Through the validating process of experiment, even employees witness that the opportunity is either too weak or none and finally fail to turn those ideas into business, as long as they understand implications, the experience itself is said to be a part of success. - It’s important to visualize the innovation outcomes (success stories), because they serve as a foundation to continue innovation and work as a positive energy for innovation activities. I congratulate you on this wonderful and wholistic approach to cultivating and sustaining innovation and creativity in KT. Thanks for sharing your experience with the MIX. I wish I can visit your facility in my next visit to Korea? can I? One of the key success factors of all Innvation projects anywhere is to avoid the temptations of the copycat & cut-and paste-approach and pay close attention to contextual and cultural customization of such projects. How does this apply to our KT IM Experience? "The literal translation of the word Innovation in Korean is “renewing the skin,” which connotes that innovation is as difficult as removing the skin from a body. For this reason, the wording was changed to “creative(創意) management(經營).” The new phrasing was used to remove the painful and difficult image and help minimize resistance by employees"
This might? 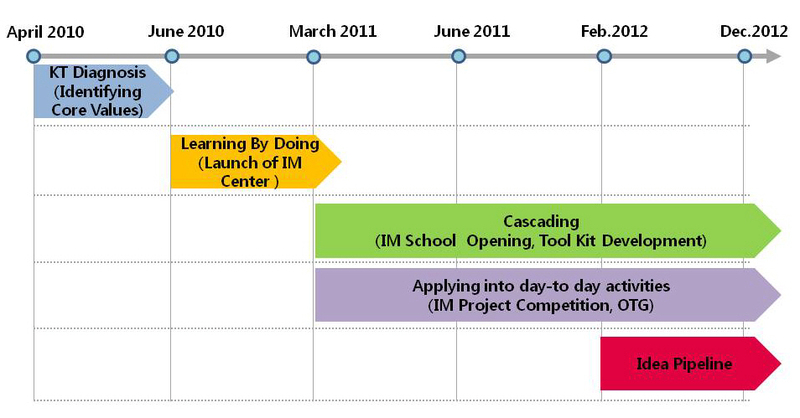 show that not enough attention was given to what I mentioned earlier: contextual/Cultural customization of innov mgmt projects as early as early as possible in the project life cycle. But I am glad that KT IM paid attention to this issue and used an alternate naming: Creativity. 1- Avoid cut-and paste approach in your innovation projects. 3-The X-cultural aspect is very crucial. Be careful when applying western mgmt styles, theories, innovation methodologies in a different culture. 4-In the very begining of your IM project, understand the culture and try to explore the imageries triggerred by western terms, words, approaches. 6- Example: in the case of KT, an un-inteded anti innovation imagery was a result of translating the english word: innovation into Korean : Change one`s skin without paying attenion to the x-cultural and contextual customization. 7-Just imagin someone at KT insisting to use this English word and igonoring its painful imagery in the Korean mind! How can we excite people to work towards a goal or a purpose the phrasinf of which is associated with very painful and repulsive notions. 8-This observation does not at all undermine the Excellent KT IM experience. 9- Sharing means sharing everything about the learing experience. in the very begining of your IM project spend enough time try to understand the x-cultural issues. Ask your non-English clients simple questions: such as: what does these words: innovation, creativity etc mean in your culture. What are the images, notions, feelings, pictures that are triggerred in your mind when u hear of such western words and ideas? Thanks again to Misook Lim and all of KT IM team for sharing this wonderful case study that is full of many great nuggets. It is innovative and challenging story. It's very interesting story. Hope to be successful in ur dramatic journey. Quite challageing, but worth doing ! Hope your tranforamtion journey successful! It is very impressive change ! It is very difficult to transform a company. But this story is showing potential for successful Innovation. Competition among the Korean Telecommunications Industry is very keen in the last 20 years. Despite this situation, it seems that KT have been made it through a rough time wisely. I am very interested in this story so remarkable and instructive. I hope KT will show us amazing story continuously. Misook, a great story of the journey. As i look back on my 26 months with the project i think some of our success came from the relationship between CEO Lee and Gary Hamel. My biggest learning from the work is how essential it is to understand culture and start the change process from that point of view. The key now is sustainability. That's the job for you and your team. The KT Innovation revolution is in good hands. It was great to start innovation journey. I hope kt will keep this journey going for a long time. I'm happy kt has been changed by innovation program. I've known Kt had so many problems like compliance and silo. I hope to suceed kt's truly innovation and idea pipeline. I'm sorry not to launch AVATAR(social closet) and Digital Stamp. I wish to commercialize two biz items asap. Thanks. "Leadership by the top management is the key." I agree this and most important success point of innovation..
We've been trying to make our company be more innovative, but we can't find any method. This story gave me many inspiration, it will be very helpful to finding our best innovation way. thank you. So far we have pursued only improvements in efficiency, productivity, quality, competitive positioning and market share. But KT has a new attempt. It is a wonderful challenge. I'm very impressed by kt case study. Espcially bottom-up innovation is very important to internalize innovative spirit and activities. One of the biggest contributions of the kt is the fact that it creates communities chanel wherever all members are participated in. And in my opinion, this is ethically healthy for big organization like kt. Currently I am working in Innovation Management Center Department in KT and I am in charge of operating the "Idea Competition" for Innovation Culture Diffusion. I Think KT used to be a conservative company. However, I must say, KT have changed drastically when we tried to find Insight through five lens to business and KT are changing again now that we operate Idea competitions, and a highly developed Experiment to examin business models. These days, It is necessary to have innovative and creative thinking in order to be a successful company. Fortunately, 30 thousand employees in KT have it. Also KT strongly supports various creative activities and a number of good ideas in company. This writing well represents all the new changes in KT and clearly organized including lesson and learned. I am entirely in agreement with that. In addition, I look forward to more drastic changes in KT! 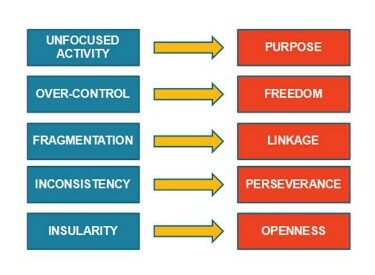 I totally agree that key success factor of innovation is the interactive way both top and bottom, not just one-way. And I got impressed that the big company(over 30 thousand people), kt is transforming through pervasive various innovation program. Good luck to kt!! It's great challenges,though the company has long history! How could small ideas become big ideas? it's very interesting. Above all implementing is more important than many plans. KT showed their own story of innovation how they have came up with innovation DNA. I think the telco giant will be changed into the smartest giant in the future.